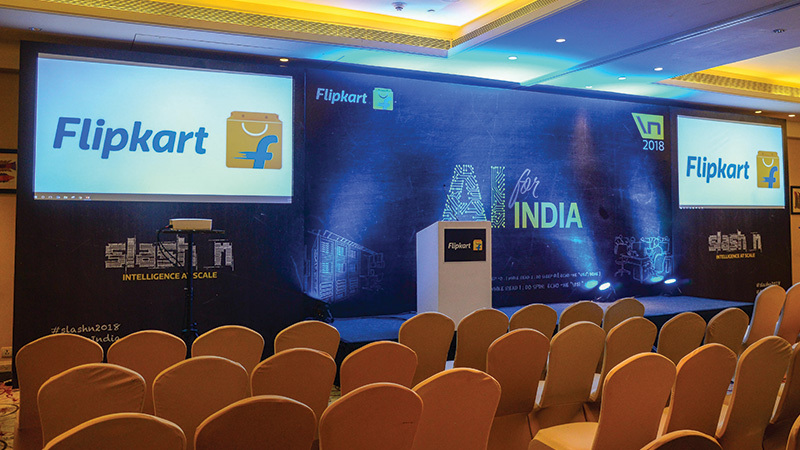 Instituted in 2013, Flipkart’s annual technology conference slash n has served as an engaging platform for the sharing and dissemination of new ideas among the country’s vibrant tech community. In 2018, for the first time, delegates and attendees had the opportunity to witness a keynote delivered remotely. 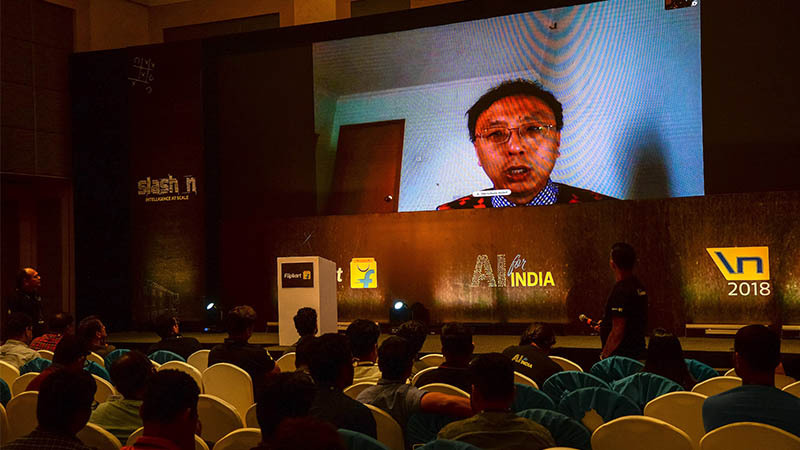 Luo Si, Distinguished Engineer and Vice President at Alibaba Group, addressed the audience via video-conference, marking a seminal moment in the history of the annual technology conference hosted by India’s most exciting unicorn. 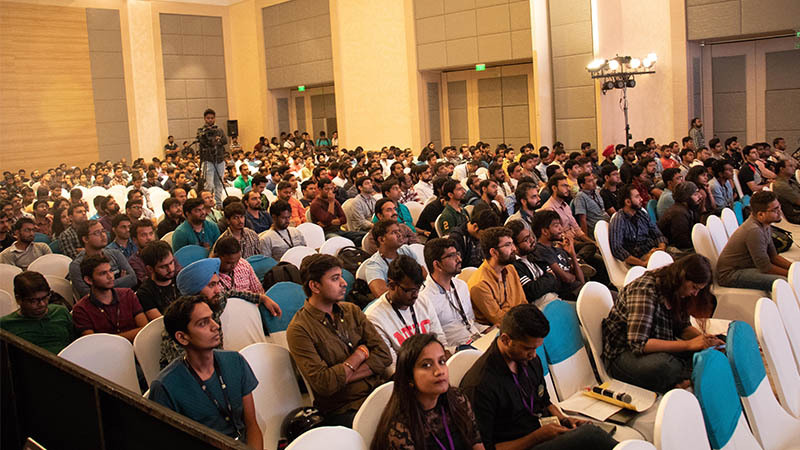 Now in its fifth year, slash n has become not merely an annual tradition, but a much-awaited event for the tech community in India, and an integral facet of Flipkart’s knowledge-sharing culture. A number of Flipkart’s technology innovations were born of open-source tools and research on repositories like Github and, over the years, Flipsters have made it a point to give back to the community, especially through events like slash n. On the agenda, each year is a list of speakers who passionately share their knowledge of advances in information technology and their applications with peers from across the industry. 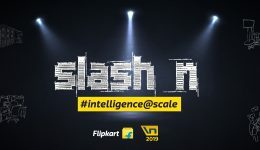 While the events from 2013 to 2017 were about building “Intelligence@Scale,” 2018 marked a turning point for slash n, as its theme was now more all-encompassing than ever — AI For India. 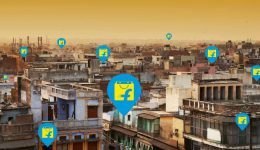 While Artificial Intelligence usually evokes images of science-fiction and cool, flashy gadgets of the kind we get to see at forums like CES or Computex, Flipkart’s goal has always been to leverage the power of AI to solve problems unique to India. While every edition of slash n showcases new solutions, there are a that stand out. Among the themes explored at 2018’s slash n conference were personalization, quantum leaps in query processing technology, security, and highly-optimized, super-scalable workflow models for supply chains. 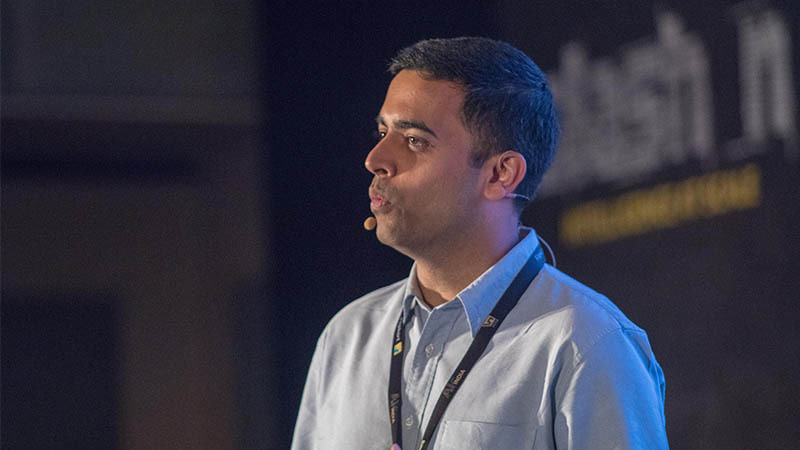 Several talks featured the use of data and how through AI and ML, data powers key capabilities across the organization, right from search and discovery to logistics and fraud prevention. In a very interactive set of talks, Flipsters unveiled impressive research which included behavioral gender as a means of personalization and a ranking engine for user recommendations among others. 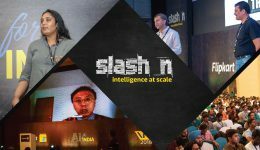 Held on April 5 & 6, 2018, slash n 2018 featured an impressive lineup of speakers both internal and external, the latter comprising of eminent tech professionals from leading organizations across the industry, such as Ola Cabs, Microsoft, ZoomCar, and Alibaba. The keynote Natural Language Programming (NLP), by Luo Si of Alibaba, was one of the highlights. 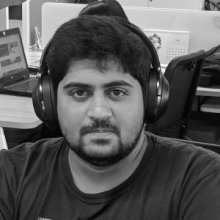 Besides addressing corporate technology professionals, slash n also hosts prominent academicians, who collaborate with Flipkart to solve problems at scale. Professor Partha Talukdar from the Indian Institute of Science, Bengaluru (IISc) delivered a talk on Knowledge Graphs and acquiring knowledge about words from unstructured natural language data. Intrigued by all that happened at slash n 2018? Come be a part of the 2-day conference this year, set to be bigger and better than ever! Sign up to attend the event here.